70mm DIA 4-blade rotor head. 560mm LONG shaft. 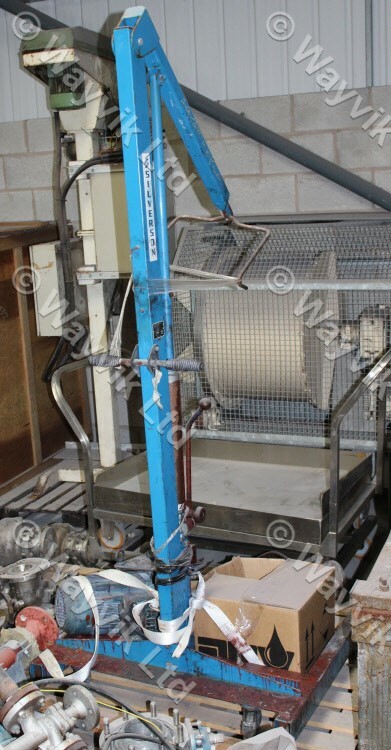 General purpose shear head. 0.75kW 2900-rpm 415/3/50 EExdIIB T4 motor. 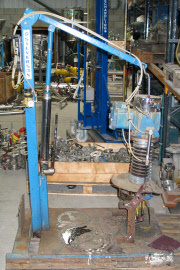 Silverson model D hydraulic lifter. 1 kW 2870-rpm motor with inverter speed controller. 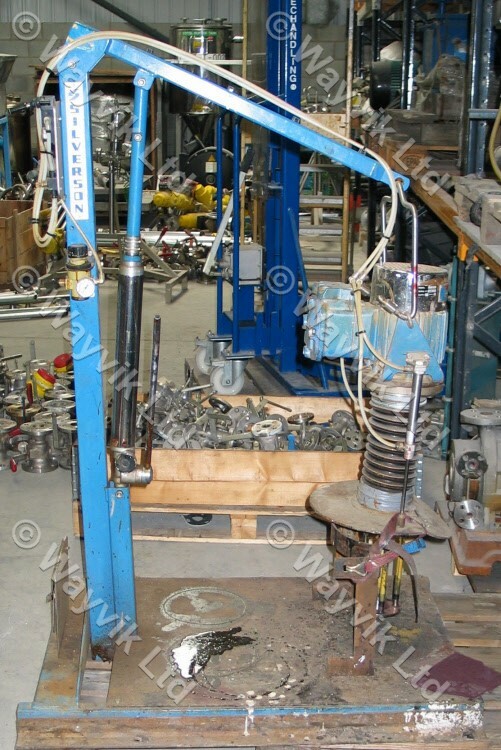 Pneumatic lift and lower. 1.85/1.3 kW 2850/1420-rpm 415/3/50 two speed motor. 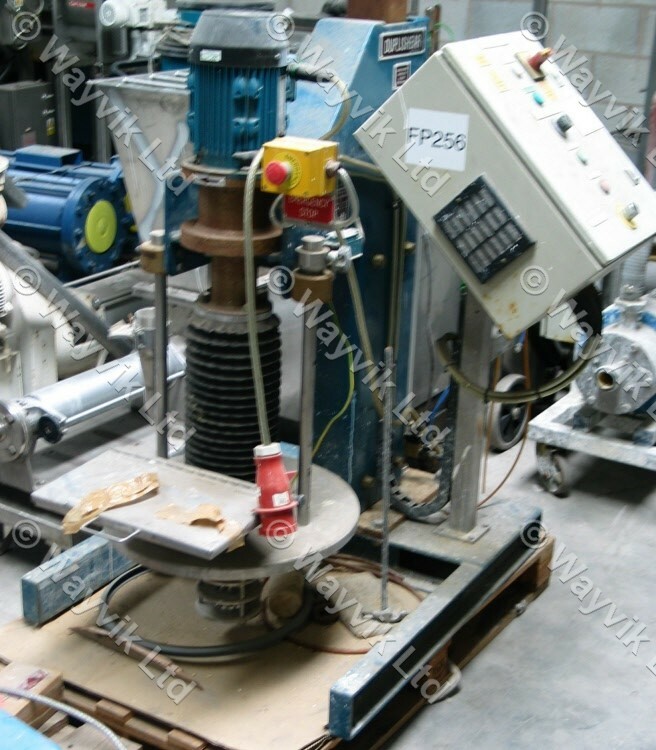 100mm diameter 4-blade impeller with general purpose shear head. 620mm LONG shaft. 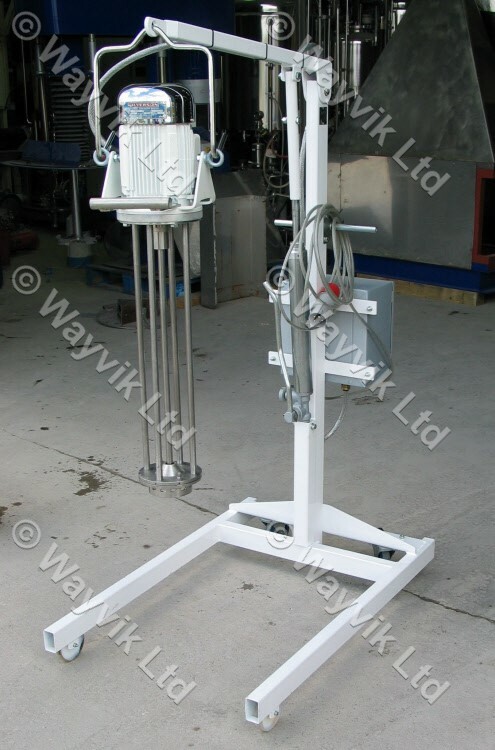 Complete with mobile hydraulic lift stand. 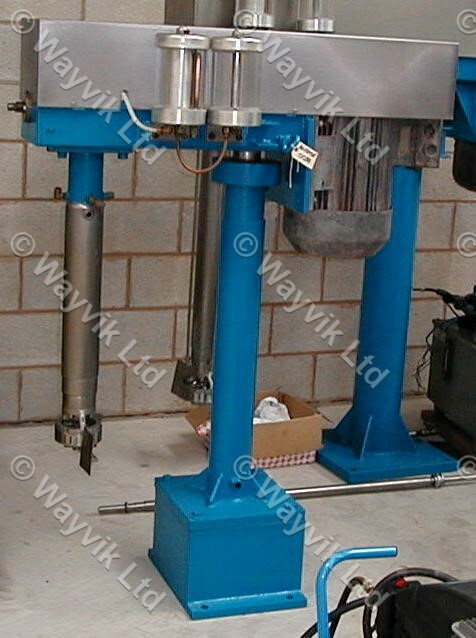 1180mm long shaft with 180mm diameter close tolerance shear head. 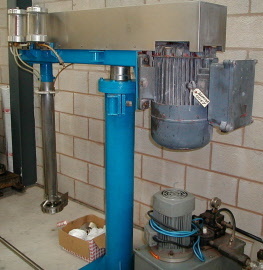 22 kW 1450-rpm 415/3/50 EExe motor. 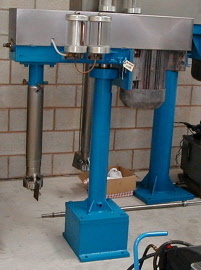 Hydraulic lift and lower. 3kW 2865-rpm 415/3/50 ATEX II EExd II C 14 motor direct coupled to 760mm LONG shaft and 100mm DIA 4-blade rotor head. 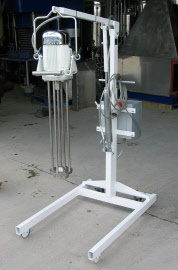 Mounted on mobile castoring frame with hand pump hydraulic lift.